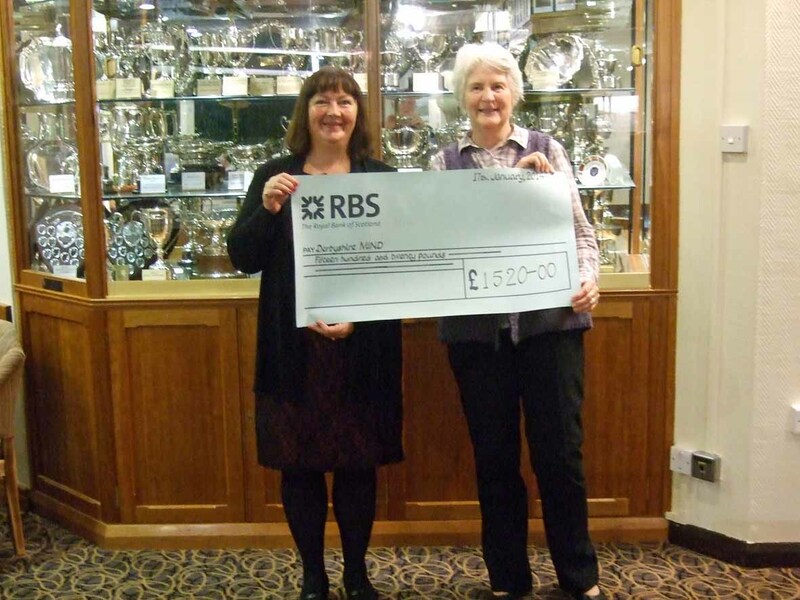 Mickleover Ladies’ Golf Club have been fundraising for the last year and today presented a cheque for £1520.00 to Derbyshire Mind. 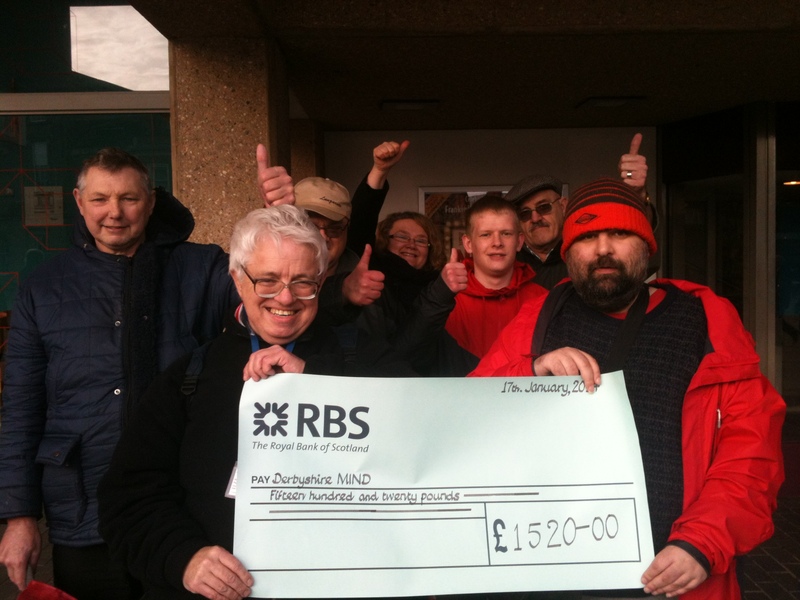 The money will support their Enjoying Derby Walk Programme. “This sizable donation has come at a good time for the Enjoying Derby project as our funding from Lloyds TSB runs out on March 31. I came out to Mickleover Golf Club last year when Jean Bingham said she was nominating Enjoying Derby for her charity and didn’t imagine then how much they would raise. It’s very affirming when people make this sort of donation because the stigma and fear around mental health means that it’s not something people want to know about. It’s good to know that some people understand the issues of mental health and want to help. We walk twice a week, every week with Enjoying Derby. We have between 15 and 20 people attending each walk. As well as the obvious benefits on their physical health, people enjoy the social contact, having a structure to their week and feeling better for getting out, walking in green spaces around the city. It’s been a very successful project since the first walk in 2008. We’ve worked with some great partners like Derby Museum and Derby City Council to create history walks and nature walks in Derby’s nature reserves and parks. For information about Mickleover Golf Club, please call 01332 513339.